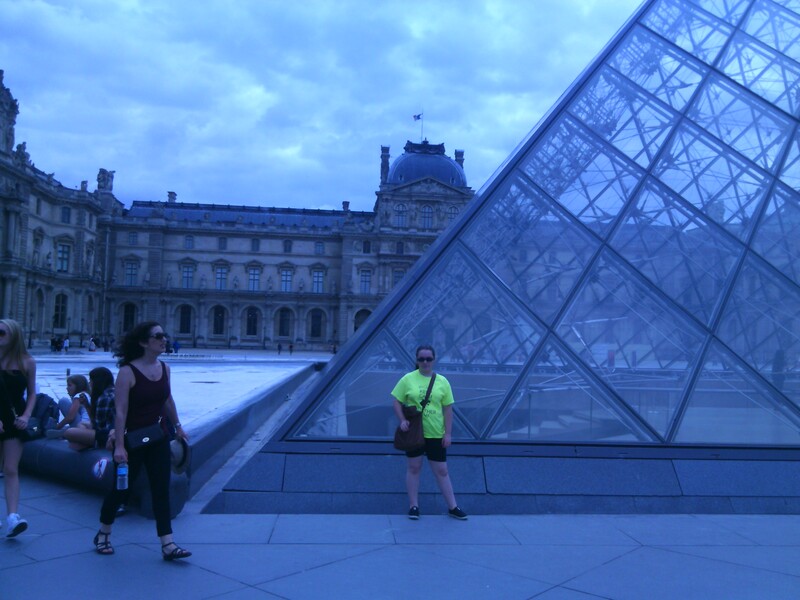 The Louvre stood before us, majestic and . . . huge! We stepped across ancient cobblestones, eager to explore the treasures waiting for us inside. Humanity of every shape and size, color and nationality rubbed elbows with us. 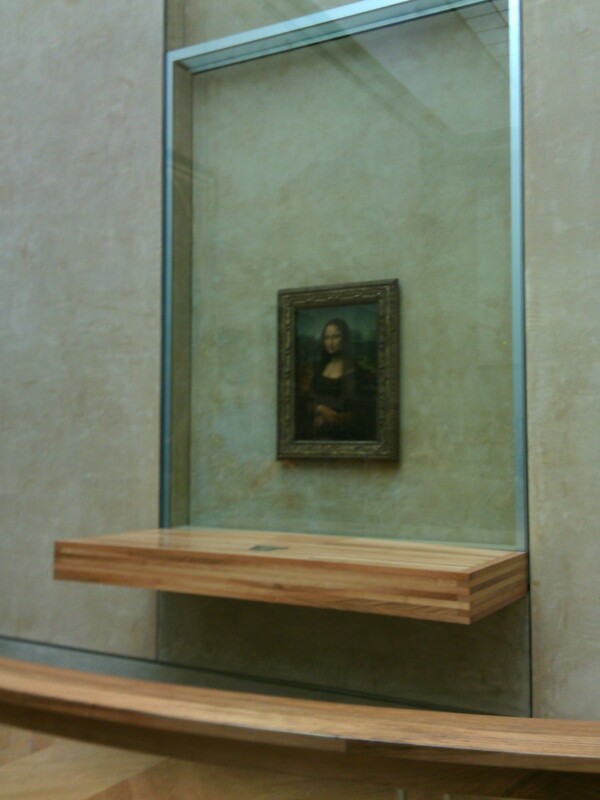 We fought the masses to capture a photo of the Mona Lisa. Our feet climbed winding stone steps and walked along echoing corridors. Souvenirs hung in bags from our arms while history hung in frames around us. 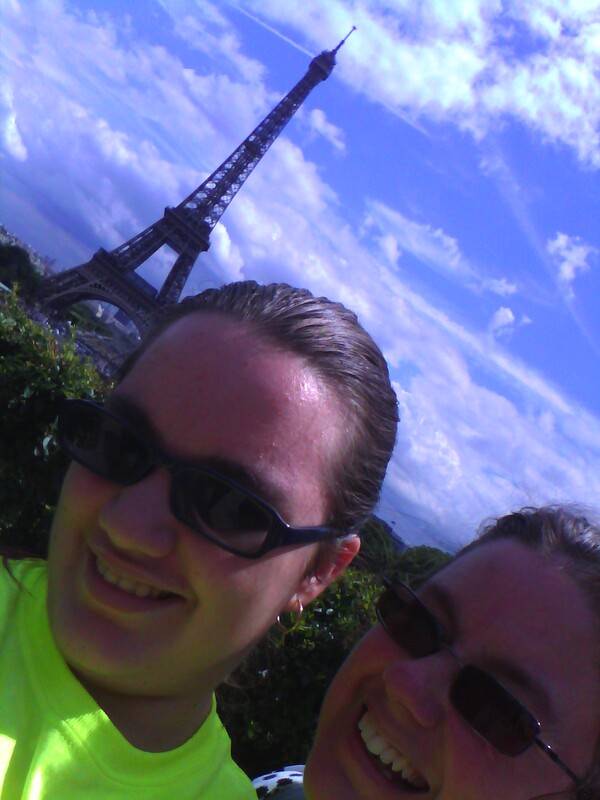 Ysée and I wasted not one second of our day in Paris before flying back home to the Midwest. Three raindrops fell on us as we patronized shop after crowded shop along Rue du Rivoli, dined at a brasserie, and ate ice cream in front of the Eiffel Tower. 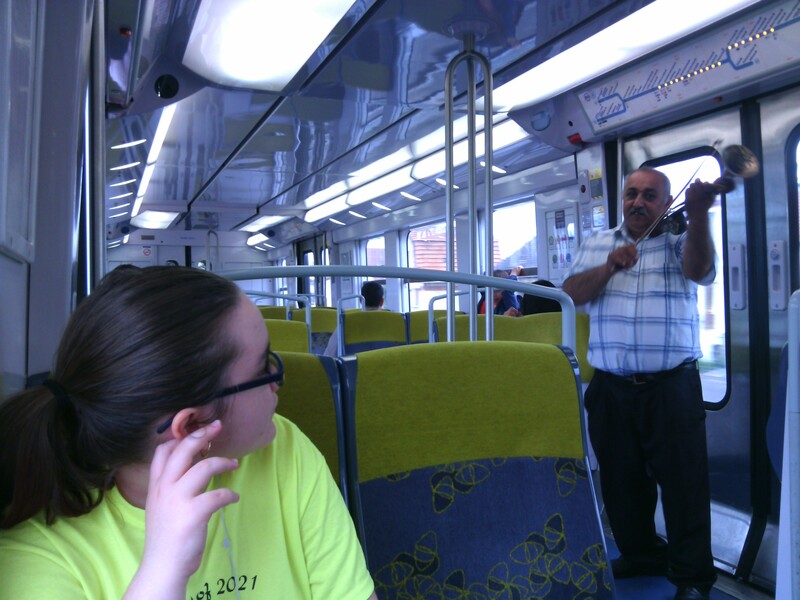 A waiter served us a glass of sirop at a busy café while we filled out last-minute postcards, and a beggar played a song for us on the RER train that took us from our hotel to the center of Paris. We squeezed into subways with fashionable, wrinkle-free French mothers, children eating apricots, and businessmen on their way home from work. Every second of Parisian culture soaked into us as fast as we could sponge it up. For we knew the next morning promised a long flight before reentering Midwestern life. Never are the diverse parallels between these two worlds more evident than when one goes from strolling the streets of Paris to driving over the potholes of my town. Switching gears becomes a challenge, and it takes me time to stop saying bonjour and start saying hello again. I need a moment or two of self-pity when going from fresh baguettes to factory-made sliced bread. No longer do I blend in with the crowd as “Madame,” now I’m everyone’s “sweetheart” and “honey.” Not that I mind being called sweetheart and honey by complete strangers. I love it very much! It’s the switch that causes me to hesitate and ponder. Hesitate and ponder how it’s possible to be so completely immersed in one culture that to go back into another is a drastic shock. After only a month! Switching gears going the other way is just as difficult. Washing machines that take an hour, no air conditioning, using public transportation, no customer service. But it doesn’t take as long for me to adjust. Nor do I mind the sacrifices. And I wonder why. I placed my feet on American soil only two years ago after living in France for fourteen. Balance between loving both cultures so immensely will surely come, but not without some bumps and bruises to my emotions. I must breathe in grace when I struggle to adjust. Stop fretting that I’m somehow a different person there than I am here. I didn’t leave Jesus on the streets of Paris, nor did I return to find him skipping over potholes. He went with me, stayed with me, and returned with me because living in Christ isn’t a switch from one culture to another. It’s constant and steady. Actually, the only constant and steady element when one’s heart resides in two places at once.